A water heater is one of the workhorses of a smoothly functioning household. We all like to assume that a flick of the wrist will deliver an endless stream of hot water to our showers and sinks. When that doesn’t happen, it may be time to consider replacing your water heater. Most conventional water heaters have a lifespan of about 10 years. If your unit is over seven years old, and if a repair approaches the cost of replacement, you are better off replacing it. While some problems can be fixed, other problems may prove insurmountable. For instance, if your water heater is leaking from the top and bottom of the tank, you probably have a cracked glass liner. If your hot water has bits of rust or a rusty hue, the inner tank may be corroded. Neither problem can be fixed without a full replacement. What if Your Water Heater Just Isn’t Delivering Enough Hot Water? If you are always running out of hot water in normal situations, and if the thermostat is properly set and there are no leaks, then your water heater may simply be too small for your household needs. 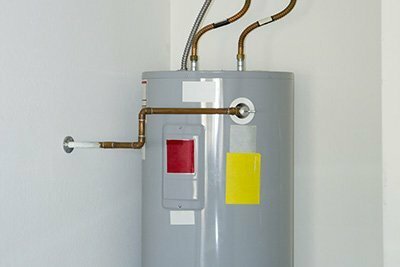 Whether your water heater is gas or electric, your Atlas Service Technician will help you decide which replacement unit will best meet your household needs, including tank capacity, recovery rate (how many gallons will the unit heat in an hour), size and energy efficiency ratings (the estimated cost of running the unit for a year). Your Atlas plumbing expert will explain your options and can usually complete conventional water heater repair or replacement right away. We try to schedule same-day service, arrive with a full complement of replacement parts and can complete most repairs right away. In London in 1868, Benjamin Waddy Maughan patented the first instantaneous water heater for household use. Draining the water heater twice a year will rid it of collected sediment that can cause corrosion and reduce efficiency.